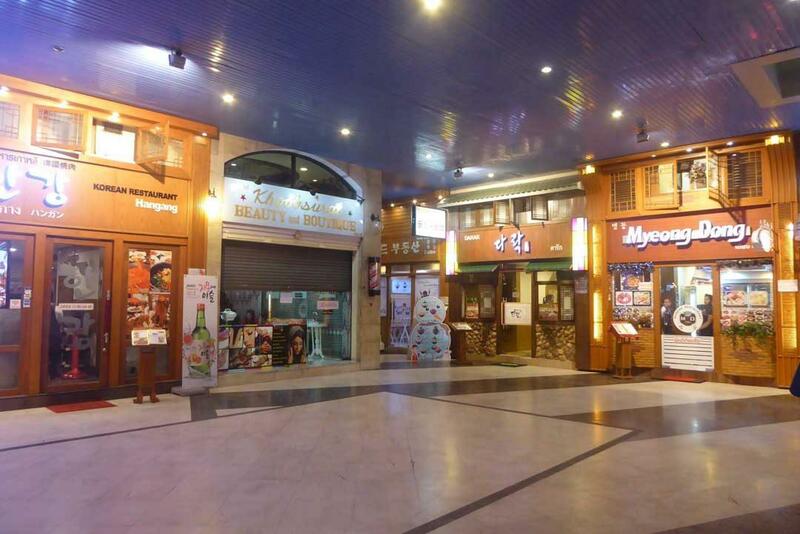 Korean Town is a 3-story arcade on Sukhumvit road featuring many restaurants, shops, and bars. The restaurants here serve authentic Korean food. 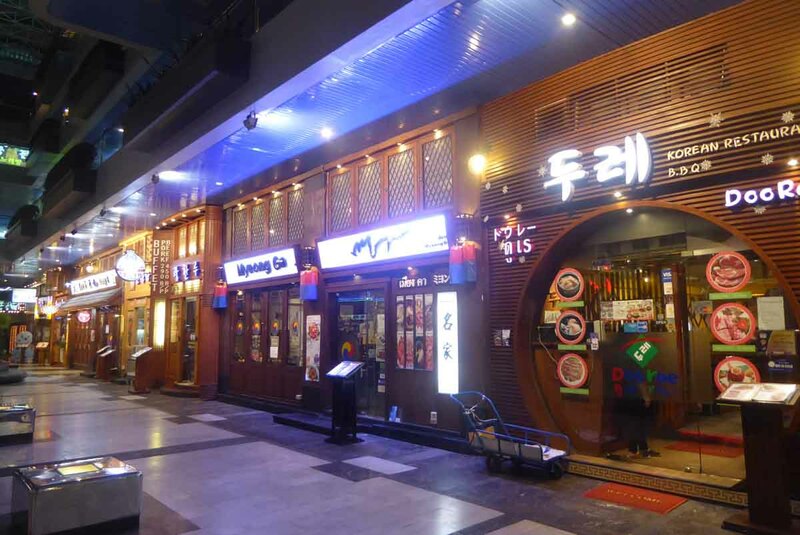 Most of the restaurants specialize in BBQ meat especially pork and beef as well as chicken, seafood and more unusual cuts of meat such as beef tongue, beef ribs, and pork neck. Other popular dishes are kimchi, pancakes, noodle soups, and bibimbap. The BBQ restaurants feature a personal charcoal grill built into the table where you cook the meat yourself or with the help of a waiter or waitress. The barbecues usually come with an assortment of small side dishes and dipping sauces that are included in the price rather than added to the bill. There is also a bakery near the entrance that sells cakes and bread. If you want to eat here the best thing to do is walk around and browse the picture menus which each restaurant displays outside and choose the one you fancy. A barbecue meal for two should come in at around 1200-1500 baht including drinks. 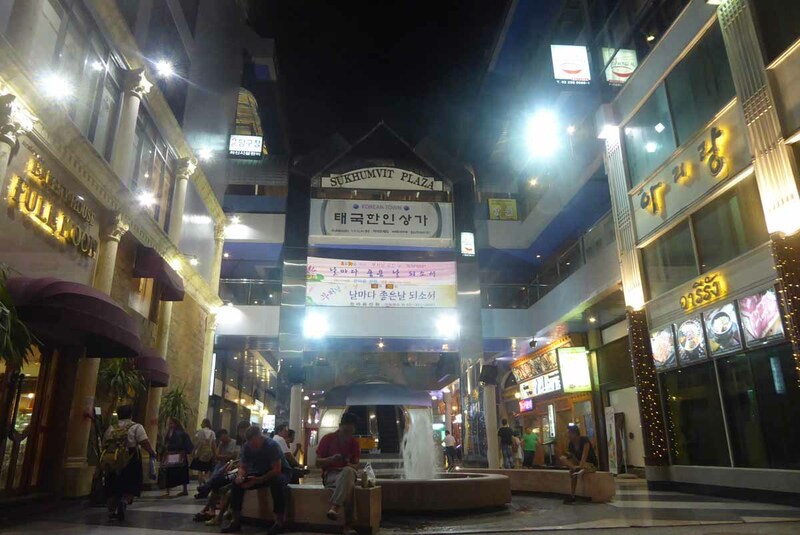 Korean town is a short walk from BTS Asoke and MRT Sukhumvit stations. Location: Sukhumvit Plaza, Sukhumvit Soi 12, Bangkok.